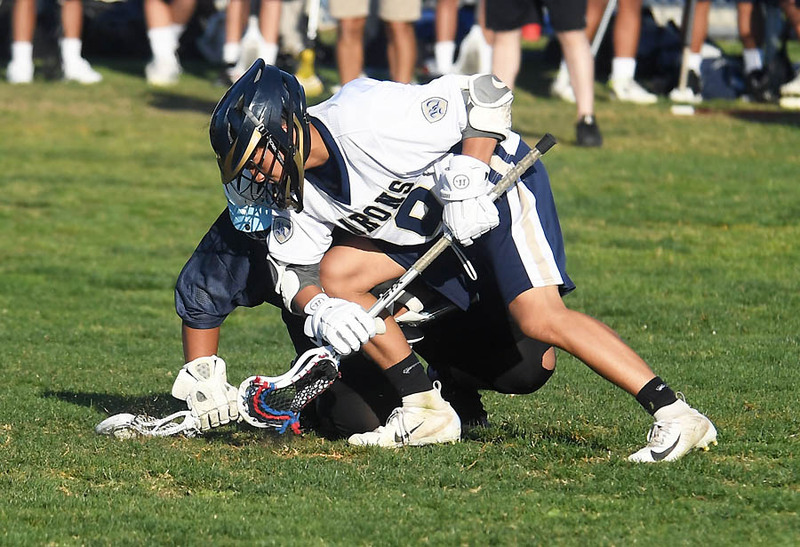 The Bonita Vista High School boys lacrosse team won both its games this week to face off Mesa League play with a 2-0 record and a lot of optimism. 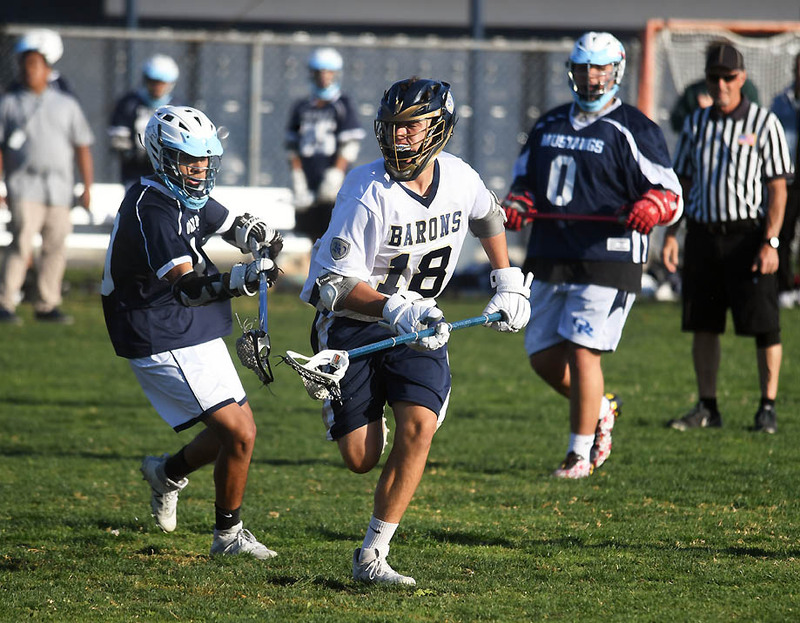 The Barons recorded an 8-7 come-from-behind win over visiting Hilltop on Monday to face off league play and tacked on a 14-1 win over visiting Otay Ranch on Wednesday. The pair of home turf wins has to give the team some confidence heading into the balance of its season schedule. Bonita Vista plays at defending league champion Eastlake on Monday, then hosts South Bay League leader Olympian on April 22. Baron head coach Peter Locke attributed the two wins this past week to his team starting to “click” together, putting all the lessons they’ve learned through the first half of the season to use. That seems to be exactly what happened in Monday’s game against the rival Lancers. Hilltop took a 1-0 lead on an early goal by Kyle McLean before the hosts rallied to go ahead 4-3 at halftime. The visiting Lancers rattled off three unanswered goals in the third quarter to take a 6-4 lead. But the Barons quickly tied the game, 6-6, on goals by Timmy Tucker and Jaylin Lee. The game remained tied 6-6 until McLean scored his third goal of the match to push Hilltop to a 7-6 lead with 7:00 left in regulation play. 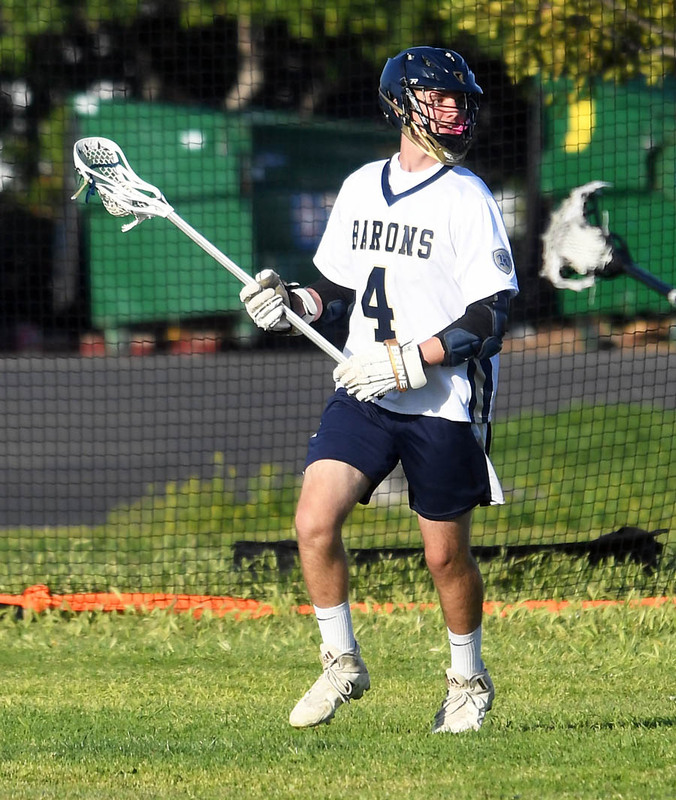 But that left plenty of time for a Bonita Vista comeback and the Barons did just that after Tucker tied the game with 4:02 left and Lee scored the go-ahead goal with 3:48 to play. The Lancers had a shot glance off the framework of the net in the final 30 seconds to nearly send the contest into overtime. Alex Tang and Lee led Bonita Vista with three goals each in the contest while Tucker scored two goals. Lee keyed the Barons defense with 10 ground balls. McLean led Hilltop with three goals while Andres Macias scored two goals. Isaias Pedroza and Arturo Arriola each scored one goal in the loss. The loss evened the Lancers’ league record at 1-1. 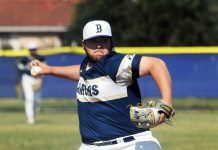 Bonita Vista improved its overall record to 5-8 by recording the dominating win over winless Otay Ranch. The Barons bolted out to a commanding 13-1 halftime lead in Wednesday’s game behind four goals from Tang and Lee, three goals from Zak Potok and one goal each from Miguel Morgan and Leo Zepeda. Lee led the hosts defensively with 11 ground balls in the first half. Kiki Moran scored the lone goal for Otay Ranch, which dropped to 0-3 in league play, 0-12 on the season. Bonita Vista at Eastlake, 7 p.m.
Chula Vista at Mar Vista, 5:30 p.m.
Mater Dei Catholic at Olympian, 6 p.m. 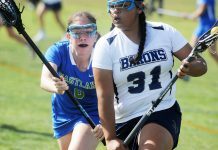 The Castle Park High School girls lacrosse team will celebrate Community Appreciation Night with pregame and halftime ceremonies during Monday’s South Bay League game against visiting San Ysidro. Pre game ceremonies are scheduled to start at 5:15 p.m., followed by the regularly scheduled game at 6 p.m.
Groups being recognized include the city’s first responders from the Chula Vista Fire Department, Chula Vista Police Department and emergency medical technicians. Halftime awards will be presented to Dr. Charles Camarata and Aaron Ruiz. “We are recognizing Dr. Charles Camarta for his longtime service to Castle Park as a doctor and supporter to the Castle Park Athletics programs for building up the Southwest Wellness program for our student athletes across the district,” CPHS girls lacrosse coach Chris Kryjewski said. Pregame festivities will include performances by the Castle Park High School dance company and the Castle Park High School Trojan Brigade and tall flags program. 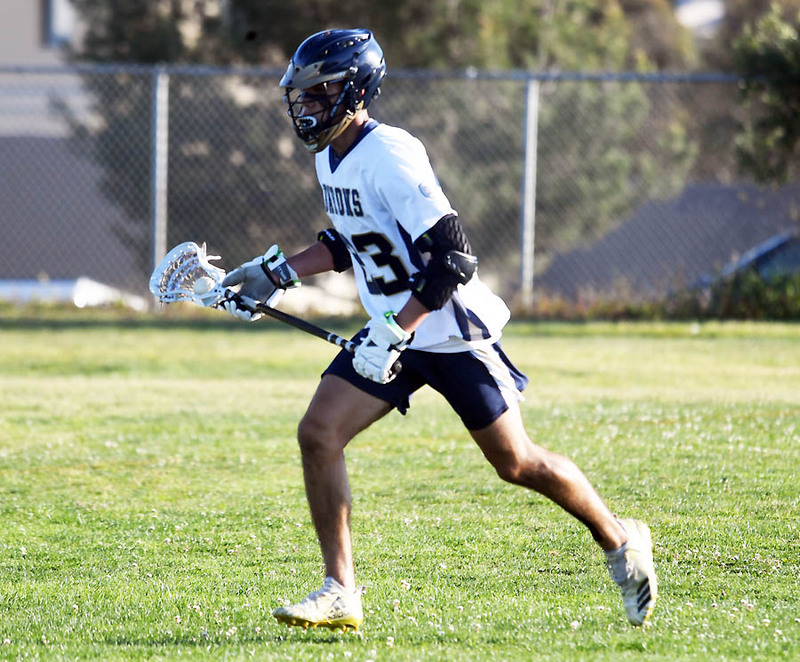 “Come out and enjoy a fun game of lacrosse as we are building the game of lacrosse in the Chula Vista community and in the Castle Park community,” Kryjewski said. Castle Park (4-7 overall) will carry a 2-1 league record into Monday’s match while San Ysidro is 0-2 in league play, 0-3 overall. Castle Park went 1-1 this week, defeating visiting Southwest by a score of 15-5 on Monday and dropping an 11-4 decision at Mar Vista on Wednesday. Top scorers in the win over Southwest included Berenice Villalobos (six goals), Ilinani Roche (three goals), Janell Morales (two goals), Celeste Preciado (two goals) and Allison Velasco (two goals). Goalkeepers Kim Zuniga and Citlalli Fernandez each recorded five saves to backstop the victory. “Defensively we forced the ball to be dropped, which gave our offense more possessions of the ball,” Kryjewski explained. “As a team we are starting to truly come together and trust each on the field. Our communication is getting better on the field daily. The Trojans suffered their first league loss on Wednesday. The hosts led 6-4 at halftime before closing out the win with five goals in the second half. Preciado scored two goals for Castle Park while Velasco and Roche each scored one goal. Aurora Santillan led Mar Vista in scoring with four goals and one assist while Paris Avalos and Erica Rodriguez each scored three goals. Fernandez was credited with six saves in the setback. “What hurt us in this game was losing the possession of the ball, which led to Mar Vista’s five goals in the second half,” Kryjewski said. “I am proud of how my team worked and never quit in the game. We will correct our mistakes from this game and come back stronger in games going forward. “This team is very special and when they clean up all mistakes can truly be competitive team on the field. The team has been working hard since offseason training and now in practices to get one percent better daily. Chula Vista at Mar Vista, 3 p.m.
Southwest at Montgomery, 5 p.m.
San Ysidro at Castle Park, 6 p.m.
Eastlake at Bonita Vista, 4 p.m.
Olympian at Hilltop, 5:30 p.m.
On an emotional night featuring the team’s Stick Up For A Cure campaign, the San Diego Seals dropped the season-series finale against the Saskatchewan Rush, 14-8, Friday (April 12) in front of 6,245 fans at Pechanga Arena San Diego. The Seals defense held the Rush to three goals in the first half but fell short in the third quarter while allowing a five-goal run from the Saskatchewan offense. Jackson now leads the Seals with 33 goals – one ahead of Austin Staats. The Seals will play two final home games to close out the regular season. The Colorado Mammoth will make their first trip to America’s Finest City on Friday, April 19. 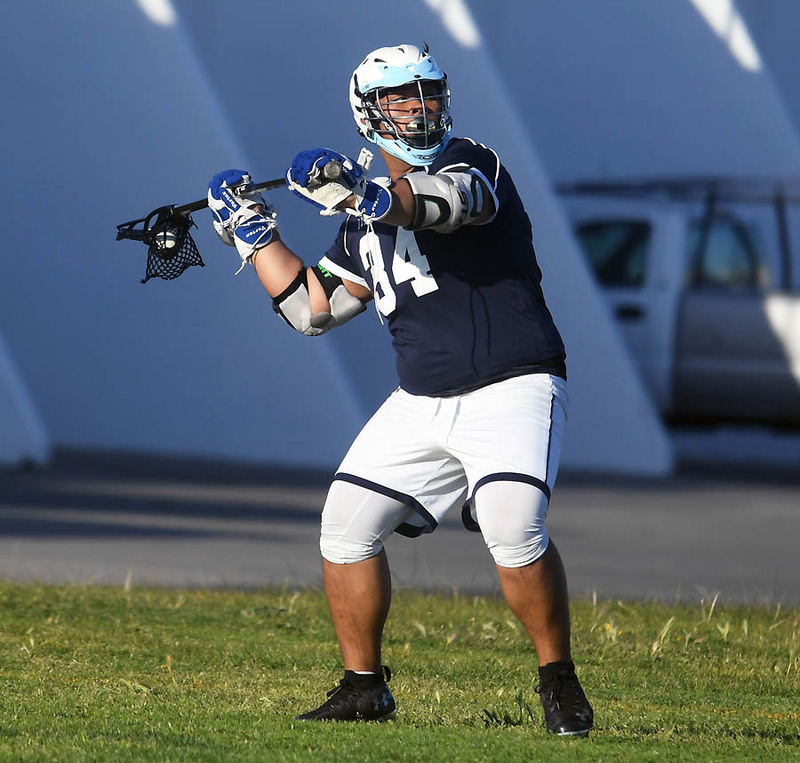 San Diego Seals’ Connor Kelly was named the National Lacrosse League Rookie of the Week for Week 17 after recording a breakout game by registering four goals and two assists against the New England Black Wolves on April 6, a 17-14 Seals’ loss. He is the second Seal to receive the honor this season.